We’ve written several articles on Ubisoft’s struggle with Vivendi over ownership of the company, including a detailed financial breakdown from the latest shareholder meeting. Now PCGamesN published a new statement by Ubisoft’s VP of live operations, Anne Blondel, who explained in-depth that if Vivendi took over it wouldn’t be the same company anymore. The thought I have is that I have been [here], with Ubisoft, for 20 years, and I know what made us so successful for 30 years, is being super independent, being very autonomous. [On] sales, well sometimes we take a lot of risk, you think about The Crew, that was a risk. People would look at that like, ‘maybe it’s not going to work, another racing game, what are you thinking?’ Child of Light, Valiant Hearts, all those kinds of titles. I think that’s what makes Ubisoft so different, and personally speaking, I think this is what we are. This is what we want to remain, it’s what has made us successful and been able to deliver the type of games we’ve been delivering for 30 years. So far so good, I would say, because gamers are still [with us] and I know for a fact, having been there for 20 years, that if you [separate] us from our independence, if you take away the way we like taking risk and inventing new stuff, well it’s not going to be the same Ubisoft – for me, it wouldn’t be the same. Blondel also talked about Tom Clancy’s The Division, confirming that the population of the game went back up to launch levels after the release of Update 1.4. Since the release of patch 1.4, we went back to the daily active users we had at launch, because people were [so impressed]. Some players left the game earlier than what we thought, then we had to make that tough call – do we keep providing them with extra content or do we stop everything for a while, settle down, fix everything and then once the game is where it should be, then we start providing more content. And this is what we did [and] the community was super happy about it, even though they were disappointed at first that we were to push back the next DLC releases. We had a dedicated task force come over to Massive, and then we had the Public Test Server where people could play [patches] before release and [give feedback], making sure it was responding to community needs. The community is back to positive mode, we see more and more players coming back. 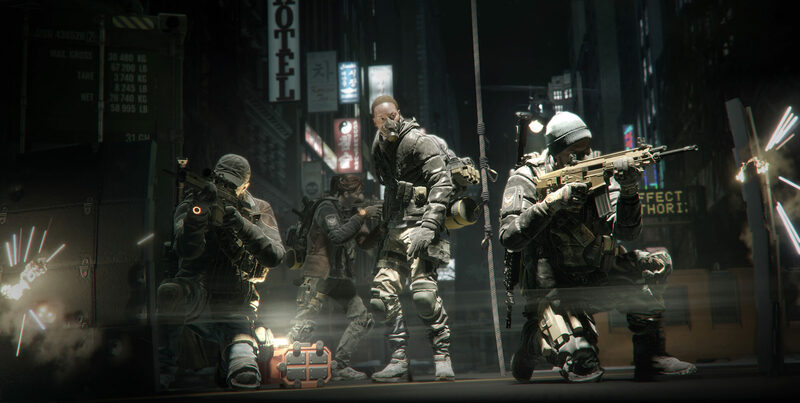 The Division recently got Update 1.5 too, on Xbox One and PC at least with PlayStation 4 getting it next week. Ubisoft also just started a month of giveaways to celebrate the company’s 30th anniversary; for more on that, check yesterday’s report.